The city of Aurangabad is a historical city and the most preferred holiday destination not just for the people of India but from all over the world. The Ajanta and Ellora caves, Bibi ka Maqbara, Daulatabad Fort, Grishneshwar Temple (Jyotirlinga shrine), Aurangabad caves, Tomb of Aurangzeb, and much more, the city amuses the visitors with the collection of historical sites it has. But that’s not all that the city extends to the tourists. When entertainment bestows upon, Aurangabad shows the true colors of fun. It has outstanding options to check out that one must pay a visit to complete his vacation. And this comes through the classy water parks of the city. 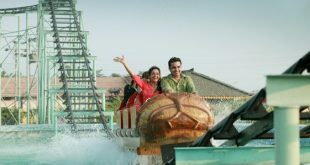 Let’s have a look at the following to know more about the water and amusement park in Aurangabad. 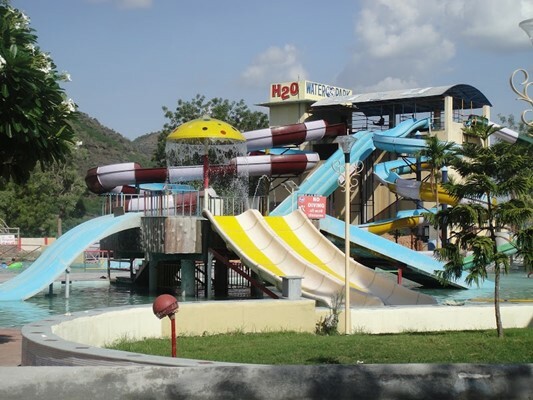 The H2O water park in Daulatabad is a toprated water park in the country. Being one of the most premium water parks, it offers a perfect place to chillax to beat the heat of the city. 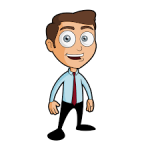 Pay a visit and get rid of the weariness of your monotonous and boring life. To start with a tour at the water park, you must check upon the cool water slides and rides. The H2O water park in Aurangabad has more than a dozen water slides. Unbelievable isn’t it? The 40 feet drop tube slide will bring an adrenaline rush in you. Bring out the woohoo shout from the core of your heart as you slide down from such a height. Get ready to be thrown away into a cyclonic motion, swirling and whirling through the tunnels at the cyclone ride. Find out who in your group is the fastest to slip and dive into the pool at the multilane slide. Bring out the child in you and try out the tube rides and body slides. 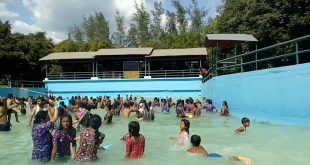 The swimming pools at this water theme park in Aurangabad are huge enough to satisfy your wish to swim and float, splish and splash water all around. Don’t worry about the kids because the water park has a whole section dedicated to the kiddies. The pirate bay is the world of fun meant especially for the young ones. 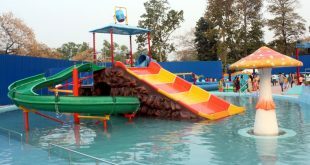 The frog and crocodile slides are the major attractions of the kids’ zone. They get a swimming pool to jump, splash, and spill water all around. Worrying about safety? The lifeguards are always at your service. Safety is the priority for the staff at the water park. That is not all! 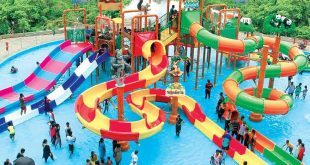 This water park near Aurangabad has arrangements to raise your spirits to another level. Try out the dancing along with the musical beats by the DJ on the most trending Bollywood songs. Sing out loud and show your best moves as the rain pours on the dance floor. And if you are drained out of energy and wish to refill your hungry stomach, the eateries at the water ark provides you with the best of Indian and continental cuisine and beverages. If you are judging the fun levels with the price, then you need not be concerned. Fun at this water park does not come with a price tag and the charges are minimal. Without a second thought, the best water park in Aurangabad is right here. 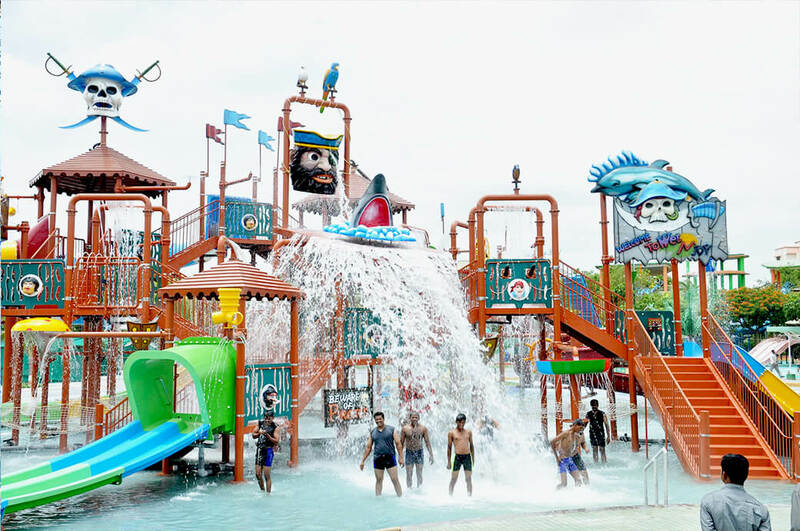 The water park defines the true meaning of exhilarating fun and amusement. One day of halt at this water park is worth it. Quickly scroll your maps while on the trip and locate where is H2O Water Park in Aurangabad to get an idea of the real symbol of entertainment. A boutique three-star hotel, Hiranya resorts are very closely located to Ellora caves in Aurangabad. Nestling beside a beautiful lake, the hotel has exquisite rooms with awe-striking views of the lake and lush green environment. The untouched and pure surroundings all around the park premises make it an ideal location to choose for if you want to take a break from the weary and tired routine. Starting from a trip making to planning events, thia water park in Aurangabad is full of energy and dynamics. The beauty of this water resort in Aurangabad will leave you enchanted. Rejuvenate and refresh your soul and fill it with positivity here. Adore and cherish yourself to be lying lazily like a crocodile on the surface of the water of the big pool in the park premises. You can dive like a fish and free your body in the depth of the swimming pool for as long as you want. Let the water wash away all the stress and pains of your daily chores. The kids too get a pool for themselves. 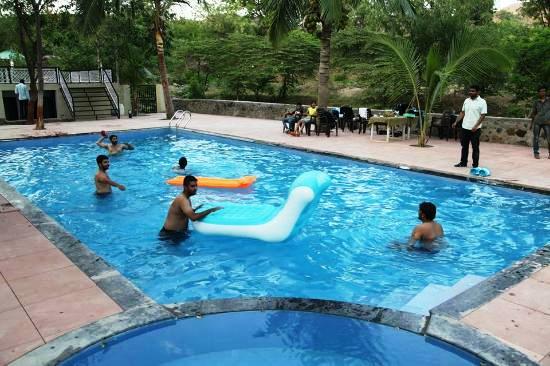 This resort water park of Aurangabad lets you enjoy all sorts of water activities. They also have numerous options for indoor games as well. Spend the perfect quality time with your loved ones that they always had been demanding from you. 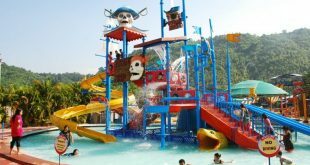 A vacation to this Aurangabad, especially to this water park in Aurangabad Maharashtra will surely resolve all the differences that your work life had induced in you. Give your kids a surprise this vacation. The water park resort assures you get to bring the best juncture with your family and friends. Are you looking forward to planning for a grand party? Then, you have it at your service. The guests have enjoyed a royal, lavish, and pleasant stay here. 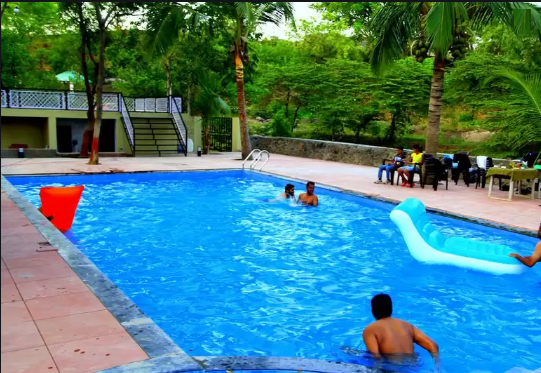 Hence, even if you are late while having fun in the water or you wish to extend the limits of fun, you are totally welcome to do that at the Hiranya water park in Aurangabad. 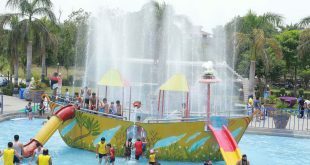 With the best of services, infrastructure, behavior, and entertainment options, this park undoubtedly deserves to be listed amongst the premier water parks in the city. Address Adjoining Daultabad Lake, Ellora Road, Aurangabad. This Water Park at Aurangabad is an amazing decision to hang out. Plan a holiday to the city of history, where you find every phenomenal existence of the ancient Indian talent. Get ready for the fun-filled lovely experience. Why wait anymore! Book the tickets right away for an intoxicating and happening episode of holidays.